polish insomniac: It's Not Like the Movies! Or Grey's Anatomy, for that matter. It's Not Like the Movies! Or Grey's Anatomy, for that matter. 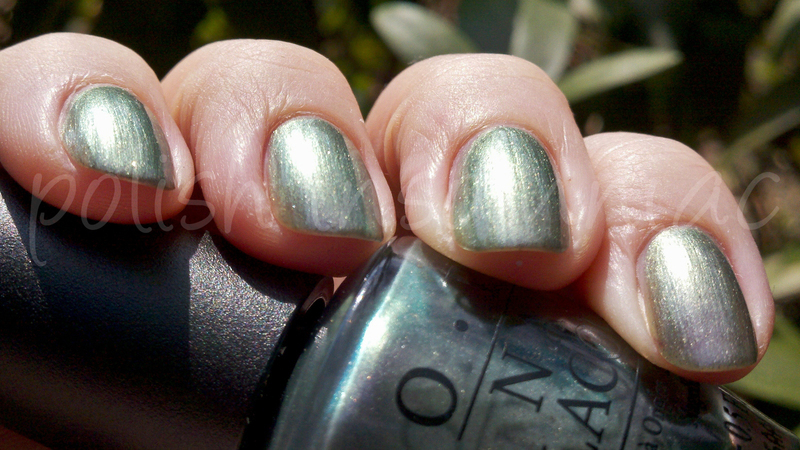 Oh Katy Perry, how I love thee for making this polish! I was so afraid when I saw promo pics of Not Like the Movies (NLtM) that I would be disapointed. 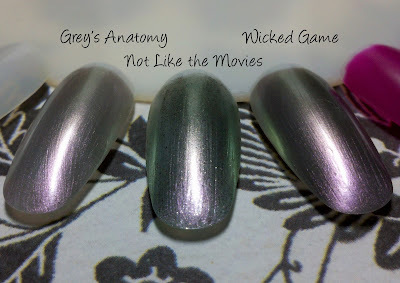 It looked like an inexpensive "sister" polish of Lippman's Wicked Game (one of my personal favorites). I am happy to say I wasn't disappointed, it's a great polish overall! Definitely not a dupe, so you don't have to feel bad for owning both, but can help squash a lemming if you need it to! 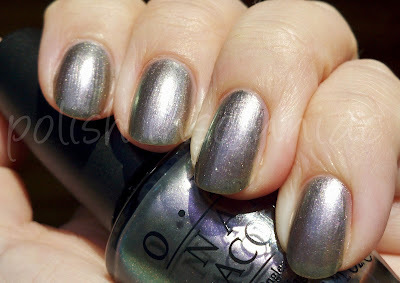 ﻿What makes NLtM unique is the micro glitter found throughout the polish, as seen above. 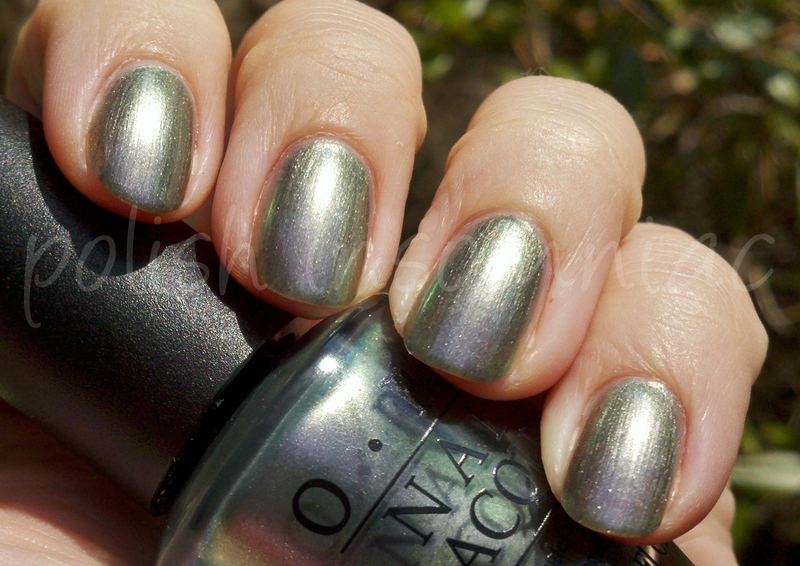 The duochrome is strong, although NOT as strong as Lippman's Wicked Game (very hard to top a Lippman, IMO!) as seen below. 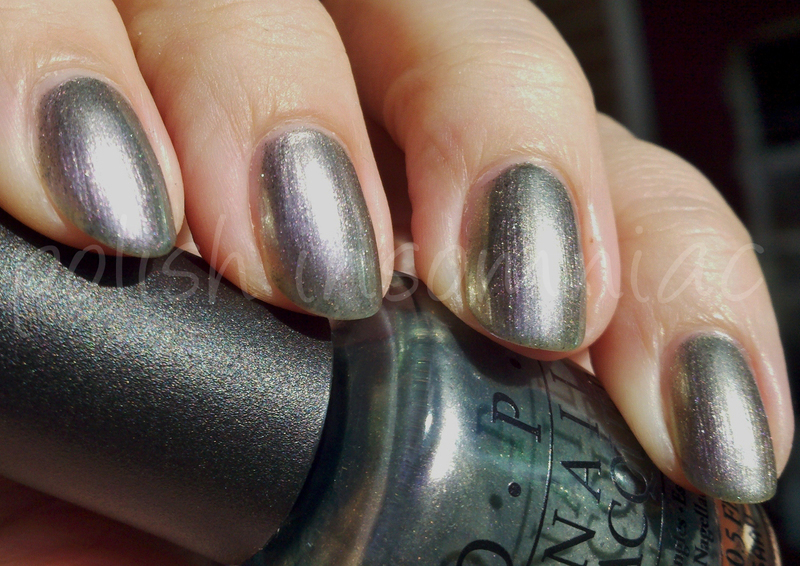 The only drawback was the opacity, this polish requires 3-4 coats. I was able to pick this polish up at my local beauty supply. Will you be picking up this polish?